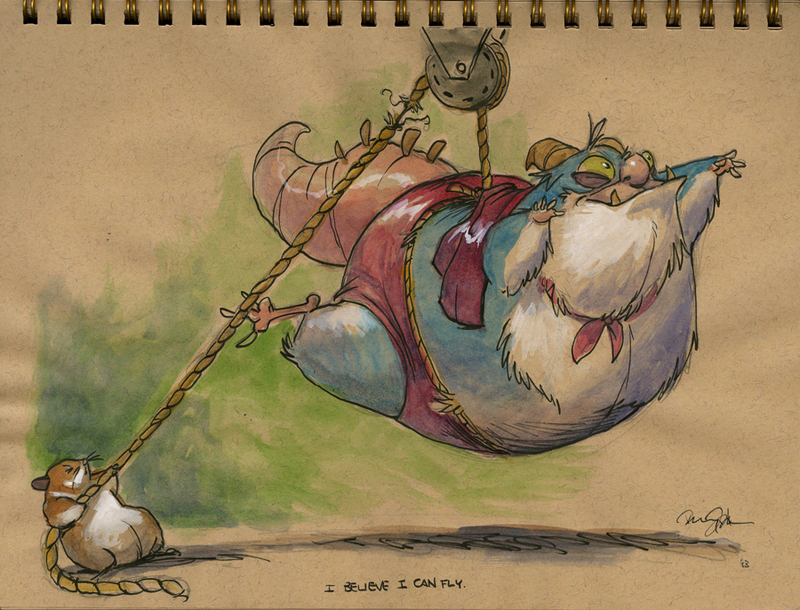 The Art of Danny Beck: I Believe I Can Fly. Hey there! Preparations for the SCBWI conference rolls on. I am trying to get as many new pieces done as I can and demonstrate versatility in subject matter. But that doesn't mean I can't get a few paintings done for my book, too! 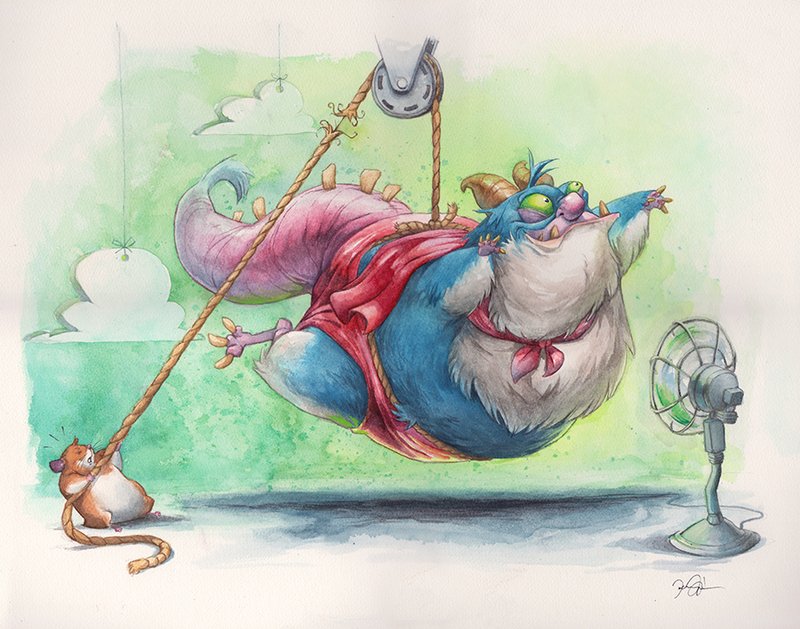 With this painting I went back to an earlier sketchbook painting I titled "I Believe I Can Fly." It was an idea that I liked and with the full painting I was able to flesh out the original idea a bit more. Again I worked with the medium I have been using for these illustrations - Derwent's watercolor pencils. I use the watercolor pencils for a majority of the painting and finish it off with the Inktense pencils for outlines since they lay down a little more opaque. This painting is 16"x20" completed on Arches watercolor board. In this painting I wanted to capture the precarious situation that the blissful monster seems happily ignorant of... or he just doesn't care. In this moment he is as free as a bird. The wind in his face as he gazes skyward. We know something that he doesn't... we know that it is about to come to a crashing end. But, for now, we share in his jubilation. I hope you enjoy this painting as much as I do.